Shaped as scallops to represent the brilliant sun and entrancing moon, the landmark grand theater is the first on-island theater in the Chinese mainland. Both local and foreign bands offer the audience a range of rock, indie pop and punk rhythms at this cultural tourism brand and international music event in Zhuhai. The City Parlor (Haibin Beach) ​sits beside Xianglu Bay and Lovers Avenue and is a landmark for Zhuhai covering 76 hectares. Street circuit racing continued until Oct 31, 1996 when China’s first permanent motor race track premiered at ZIC with Formula 1 in mind. The greens and lakes are scattered in orderly arrays. It boasts a high-end clubhouse. 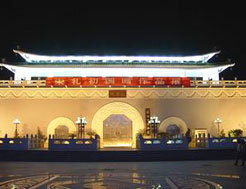 The comprehensive Zhuhai Museum has 13 exhibition halls displaying local unearthed cultural relics collected from the sand dunes of the late Neolithic Period, the leavings of Zhuhai’s historical figures, and physical materials of the Reform & Opening-Up stage of China.